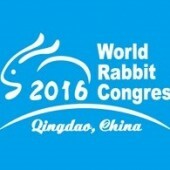 World rabbit Congress | Litoral Coelho - Abate e Comercialização de Coelho, S.A. The world’s largest producer of rabbit meat welcome this congress with the aim of contributing to the scientific progress of the rabbit and the prosperity of the industry. – genetics and creates , reproduction, nutrition and digestive physiology , pathology and hygiene, welfare , quality and processing of products , management and economics.